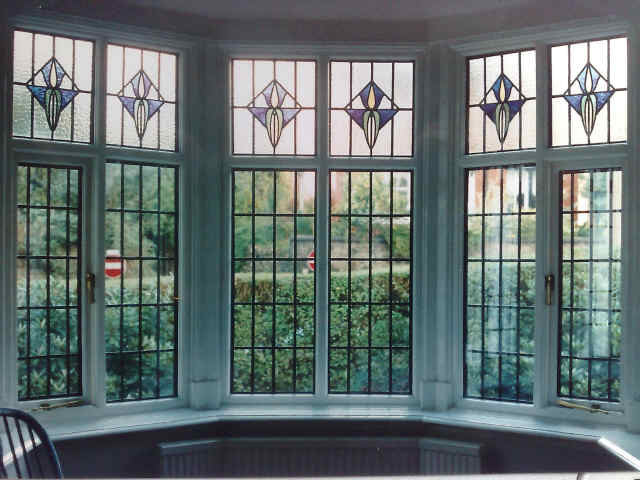 ENCAPSULATING STAINED GLASS FOR OVER 25 YEARS! ​your stained glass with us? Provides a clean and protective environment. 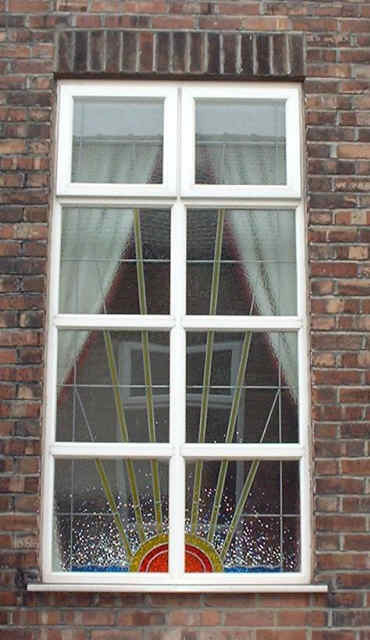 conforms to UK building regulation Part L.
By encasing the stained glass between two layers of toughened safety glass we create a formidable barrier. 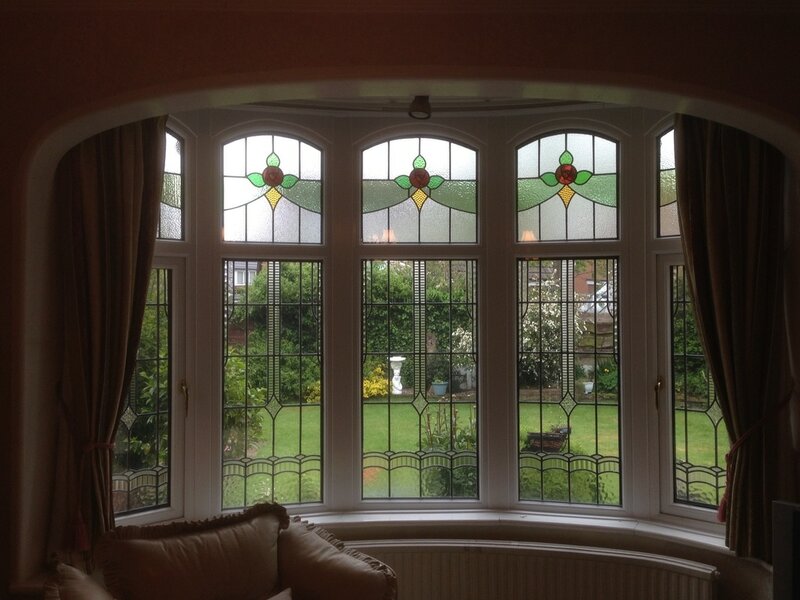 We have many years of experience double and triple glazing stained glass into hardwood or uPVC window frames and doors. Our business is built on recommendations and repeat business. What is stained glass encapsulation? 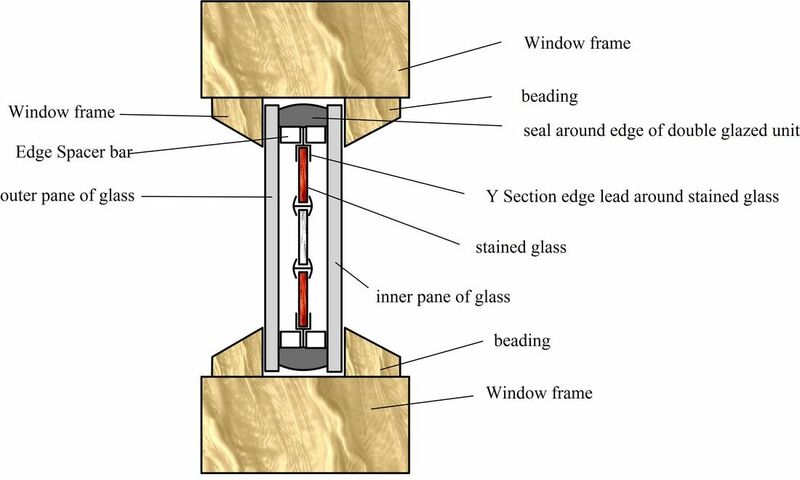 ​Stained glass encapsulation is the sealing of a stained glass panel inside a double glazed unit to form three layers of glass. 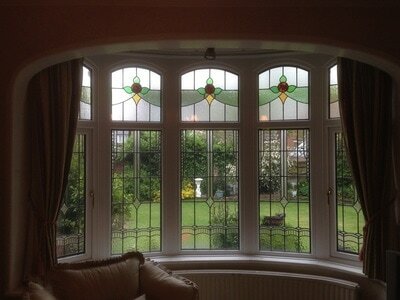 Some people refer to this process as Triple Glazing of stained glass and other refer to this as Double Glazing. However, both descriptions are referring to the same process. 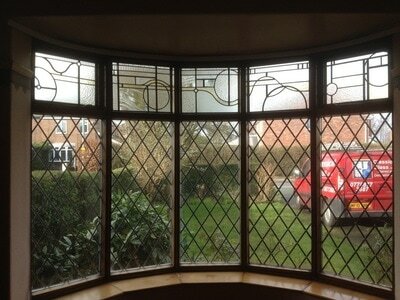 Encapsulated stained glass in a Timber frame. 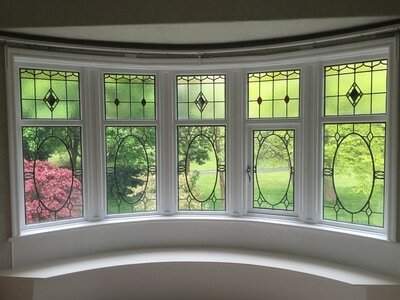 ​Can Stained Glass be used as the outside pane of a Double Glazed Unit? 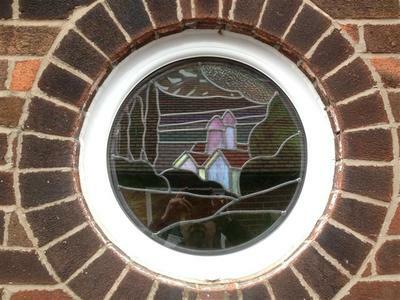 How is stained glass encapsulation done? The stained glass is first carefully removed from the old window frame and the frame is temporary glazed or boarded. 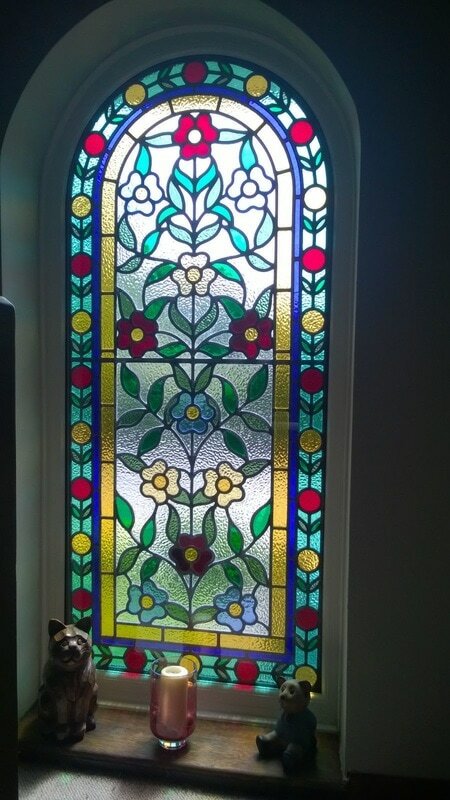 We would then bring the stained glass to our studio for restoration. 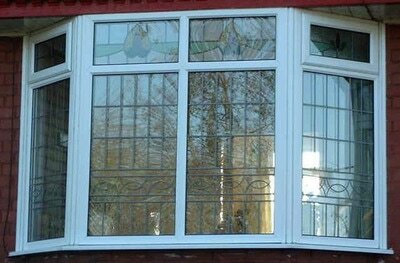 Any broken pieces can be matched and replaced, the whole window can be deep cleaned and a new border lead soldered on. 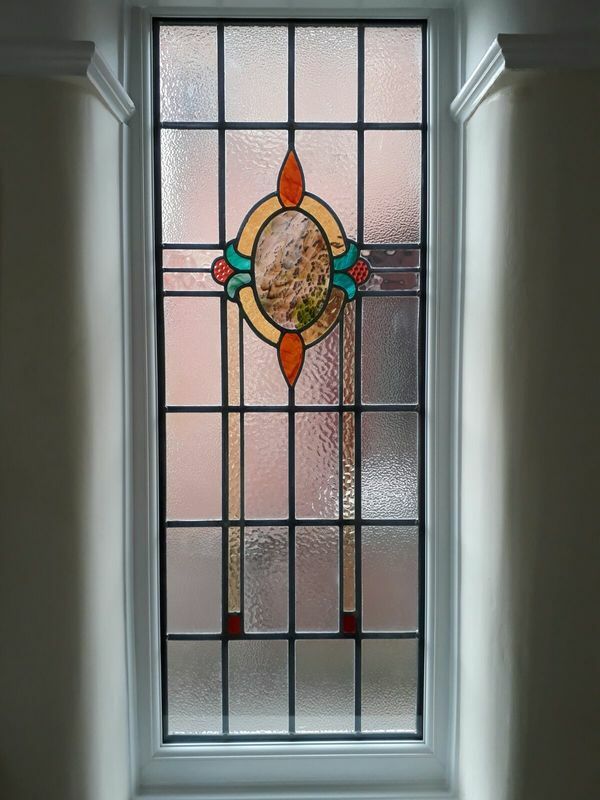 Finally the stained glass can be blown free of dust using compressed air before being encapsulated between two panes of clear toughened glass to form an insulated unit. The glass we use is 'Low-E' which gives a significantly more insulated unit than ordinary double glazing. 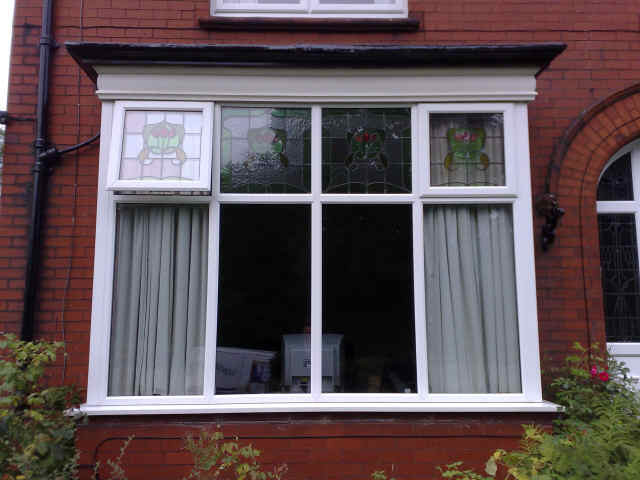 The units also have warm edge spacer bars and are argon gas filled. 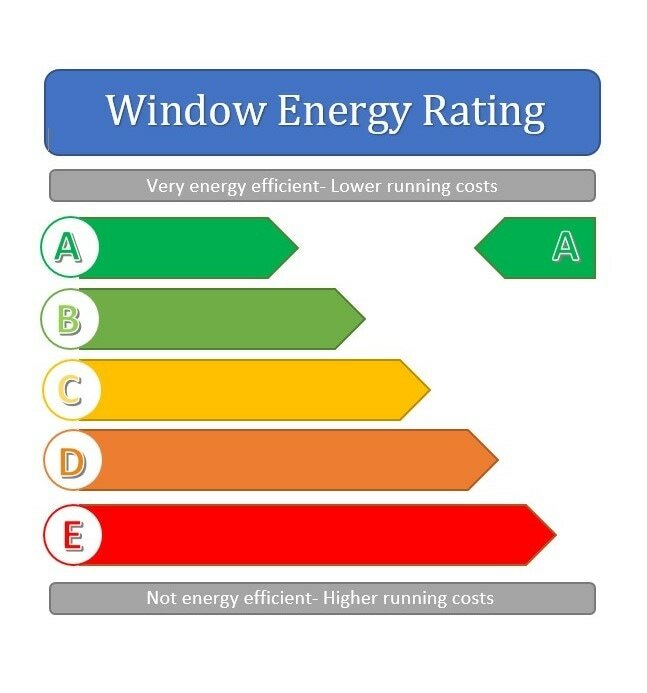 This will give a window energy rating (WER) of A to C when combined with a new window frame. 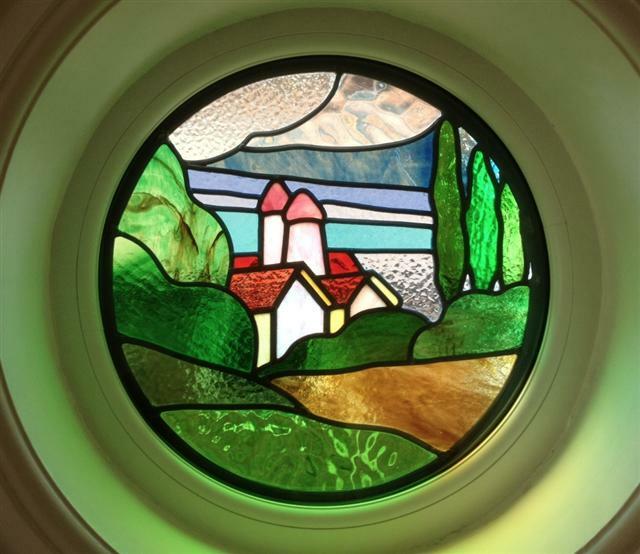 Check out our YouTube video below, which shows the process of Stained Glass Restoration and Encapsulation. 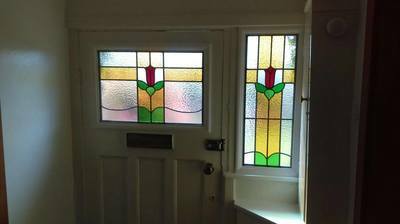 "Promotion alert: this week we've had the great pleasure of having some stained glass repaired and encapsulated in double glazing. 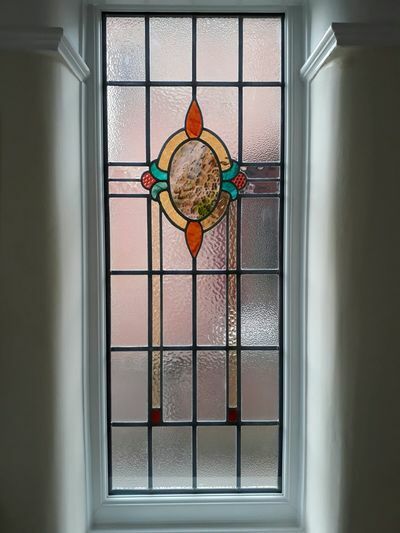 For anyone out there with a ...house project this is a great company to talk to..... highly recommend the The Stained Leaded Glass Company Ltd who've done a sterling job... thank you!" "Absolutely fantastic job. I hunted for ages to find someone to do this and once I found this company the whole process has been seamless and super professional. 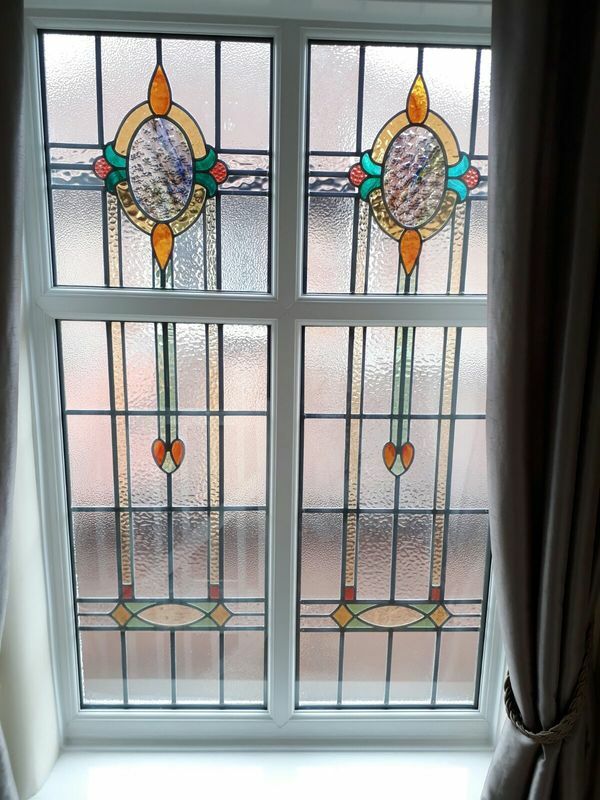 I didn't want to lose our stained glass but just needed the windows to be a bit warmer :-) The stained glass, now encapsulated in double glazing, looks absolutely fantastic. The double glazing units got fitted today and I cannot fault the whole process. Highly recommended." ​"Really happy with what Stained Leaded Glass produced for us and would recommend to anyone. Great service, great price and extremely professional... cheers guys"
​"Thank you for remaking the leaded lights to our front door and surrounding screen and encapsulating these into insulated glass units. 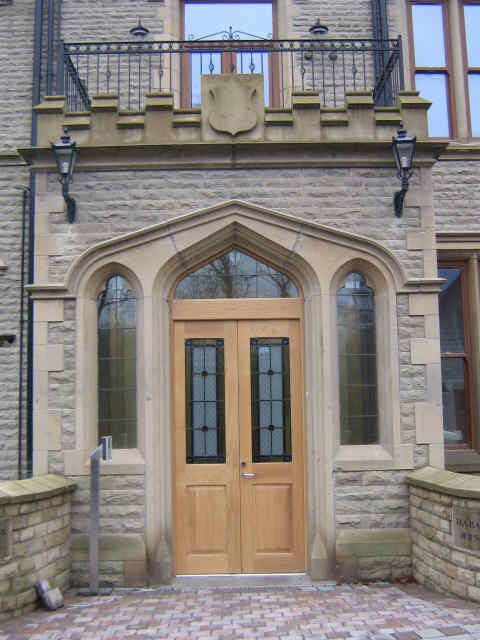 Alan Kay (Manchester Doors) has installed these into the replacement door and frame today and they look great. 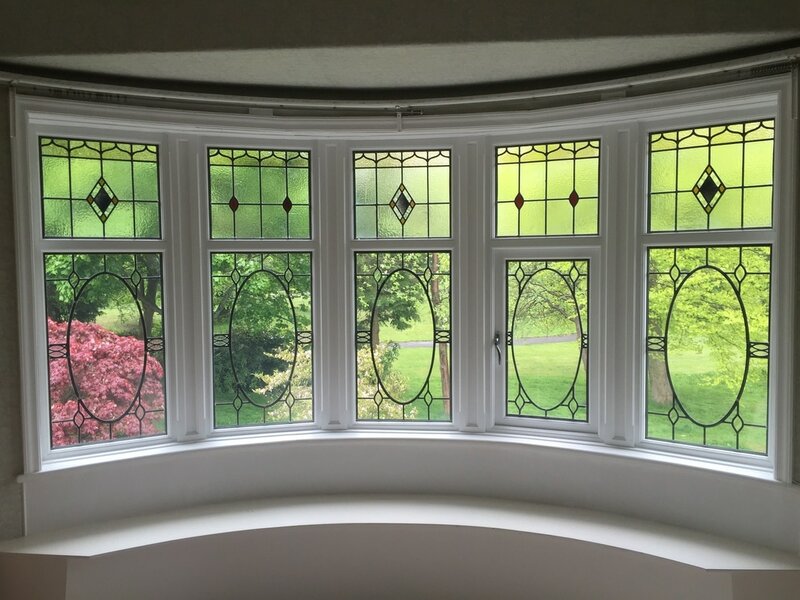 Thank you again for your hard work"
A turn of the century Arts and Crafts house in south Manchester has been transformed into a showcase for sustainable living. The improvements made to the property (including triple glazing the stained glass done by us) has reduced the carbon footprint by 60 per cent and becoming one of the Sustainable Energy Academy’s Superhomes. Click here to read more. A happy customer has sent through a photo today of her beautiful panel restored, cleaned and encapsulated by ourselves and fitted into a new uPVC frame by our friends at Northern Glass⛵️□ Comments from the satisfied customer “I am very pleased with it! It looks beautiful! Thank you so much”.